This'll look great all super glossy. 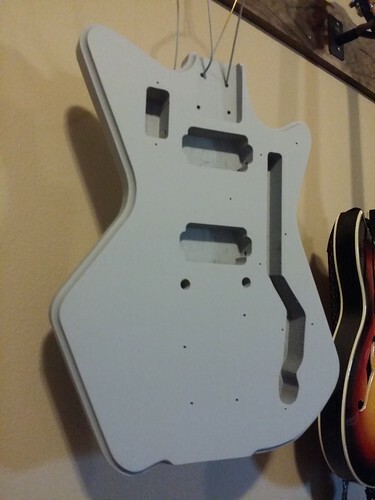 Great build man, it's very different to anything we usually see on here. 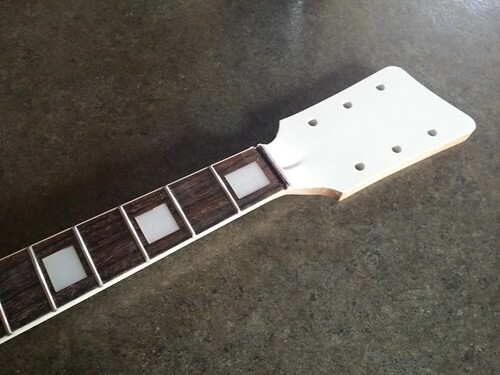 Last round of stain on the neck. 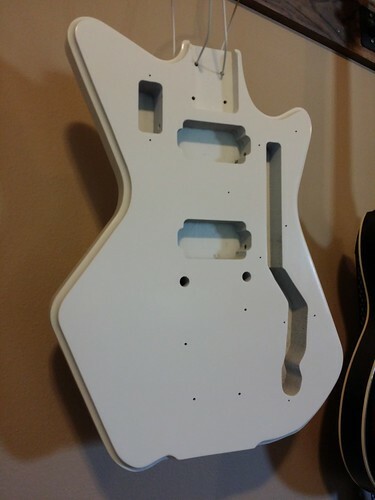 Going to pick up more white for the body today. 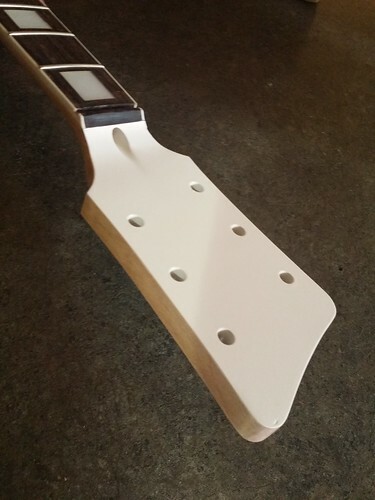 Headstock color pretty much done. Decal once it cures. 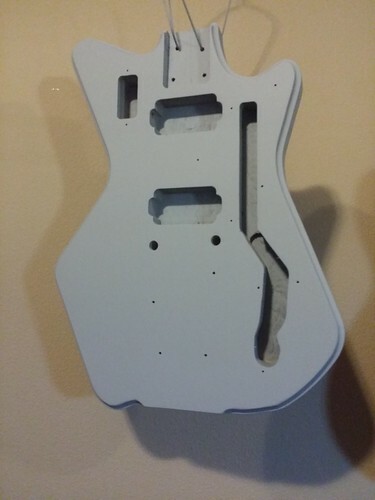 Also got grey primer going. 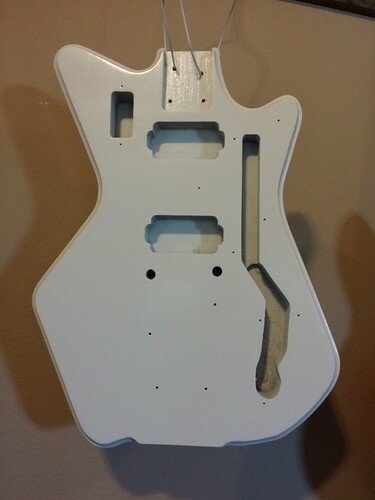 I will sand it some more and apply more primer tomorrow. 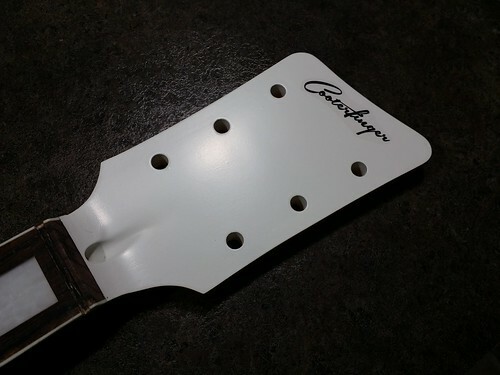 The headstock be white! The body is also, but I have one more can of white to go. Then I will let it cure for a week before I shoot clear on it. looking damn good so far. 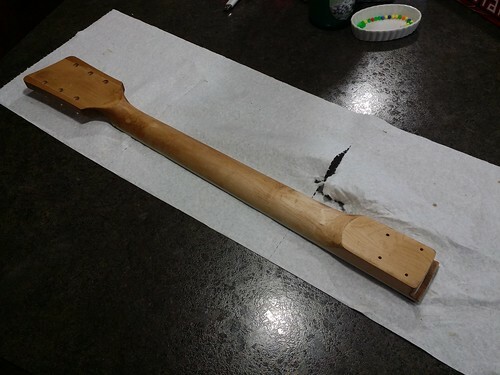 The body is drying now. I will give the Duplicolor a week to cure before I spray Deft clear on it. Neck same deal. Verrry nice work! Thanks for the pix. Thanks! I hate waiting for curing, but you just have to do it. Yeah after you make the mistake of messing with soft paint once you'll never do it again. Where did you get that neck man? And mind sharing how much it is? Got it from Cooterfinger. 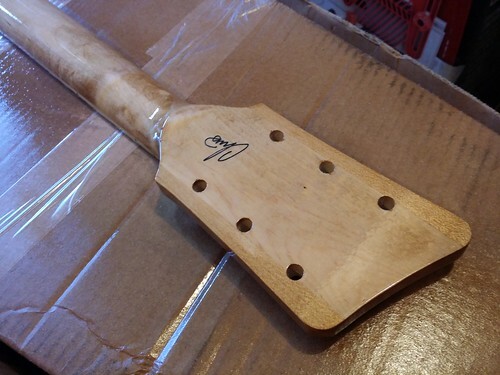 It was a paddle one that he shaped. Not sure how much he paid for it. I love that logo. Well done Chris!! 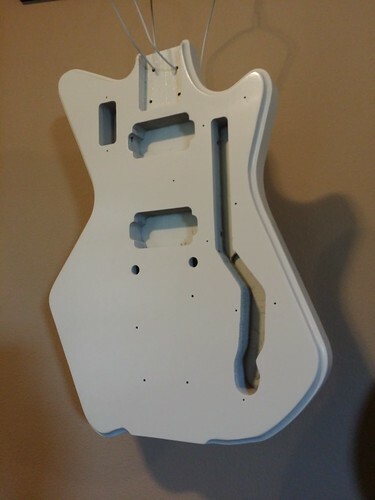 That is one exceptional guitar. Great idea, nicely done. Yeah, it's looking great so far. Can't wait to see the finished article. Thanks! I am on coat 4/10 on the back of the neck. I should finish clear tomorrow on the back. 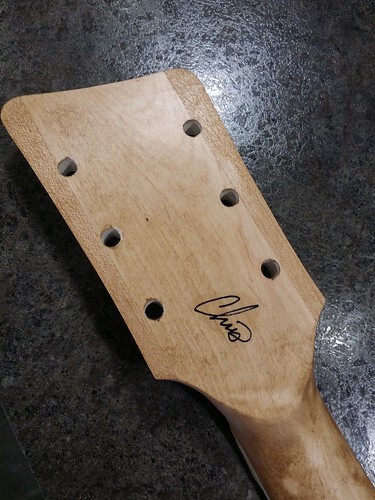 Then I will do more on the headstock. 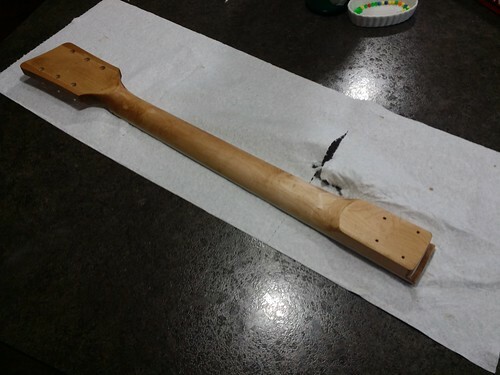 Last coat of clear on the back of the neck. 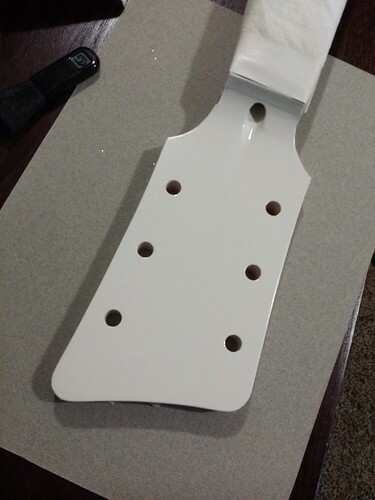 Just a couple more on the headstock and I can let it cure and get working on spraying clear on the body.